Jarkko Lehmus was born in Finland and trained at the Finnish National Ballet School, Helsinki and Millennium Dance 2000 in London. He has worked as a freelancer with the National Youth Dance Company, Arc Dance Company, David Hughes Dance Company, Errol White Dance, Fabulous Beast Dance Theatre and as a soloist with Scottish Ballet creating and dancing roles in the works of Ashley Page, Richard Alston, Krzysztof Pastor, Diana Loosmore, Siobhan Davies, Stephen Petronio, William Forsythe and Frederick Ashton. He has also performed at The Royal Opera House in Turandot and Macbeth and worked on commercial projects in the UK including appearances at The Record of the Year Awards and The Brit Awards. Jarkko received a Herald Angel Award for excellence in his performance of Ashley Page works during Edinburgh Festival Fringe 2005. 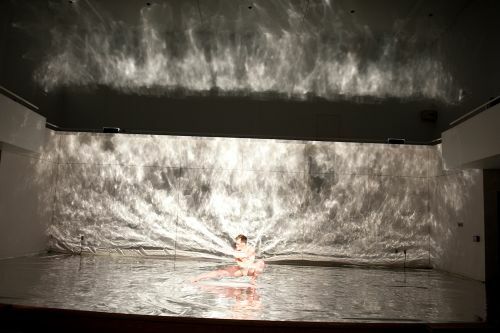 This solo was composed in 2006 and first choreographed and performed at a concert of Moran's work at Colorado College in Colorado Springs, CO, in April 2010.